A novel whose content pertains to romance, family, friendships, and a modern lifestyle but does not necessarily reflect upon Christian living. Lynn Kurland’s Dreams of Lilacs brings readers to Eleventh-century France and England for a love story set amongst mystery and suspense within castle walls and the French court. This novel is a moderate read good for more than just a summer romance but not so heavy that the plot or language dizzy a reader into confusion. With all the elements essential to a delicious romance novel, Dreams of Lilacs delves a bit further into literary techniques to satisfy even the most voracious readers. Kurland, in all of her historical and paranormal novels, exemplifies her knowledge of content applicable to time periods, settings, and language. Dreams of Lilacs is no exception to this fact and will bring readers exactly where they hope to be when choosing a historical romance. Readers who enjoy Kurland’s de Piaget family will be happy to note that the author returns to the family’s ancestral home and brings back a host of characters from her previous novels. Dreams of Lilacs is the sixteenth novel within the de Piaget series but works well as either a stand-alone novel or within the order of the other books. The only aspect readers will miss if reading Dreams of Lilacs as a stand-alone novel is the enjoyment of knowing other characters’ stories. What a way to Kurland to ensure the success of the series! Dreams of Lilacs is a story about Isabelle de Piaget and Gervase de Seger’s relationship: how their relationship came to be, the struggles the two characters overcame, and the adventures they undertook to protect their families. Kurland’s side story of a potentially murderous and nefarious unnamed character out to rid the de Piaget and de Seger families of their loved ones completes Dreams of Lilacs with suspenseful and humorous scenes. The novel begins explaining Isabelle’s and Gervase’s present circumstances—he with a broken-down body after a manor fire, she with a threatening letter. Isabelle and Gervase are impulsive, obstinate characters who vow to protect those in their care, so naturally both of them take risks that put themselves in peril. Isabelle eventually finds herself alone in France under Gervase’s care; the Lord de Seger finds himself surrounded by numerous family members, guests, and servants who could be the unnamed character attempting to murder him. The rest of the novel, as in all historical romances, covers Isabelle and Gervase’s growing attraction—and eventually love—for each other, along with dialog and descriptions of smaller interactions and adventures that provide backstories for the characters. Swordplay is a particular favorite activity of Kurland’s characters—male and female—in Dreams of Lilacs. A cast of characters who range from unpleasant to comical, protective to dangerous, silent to chatty, and needy to independent leaves readers with many names to remember but nothing short of entertainment in wondering who the manly nun in the corner could possibly be and if the youngest de Seger brother will ever have a loving mother (amongst many other storylines). Kurland excels in creating characters that readers care about; her characterization is strongest in her creation of strong-willed females and obstinate gentlemen who need to be humbled. Regardless of the character’s flaws, all of them are wholesome in heart and mind and fully human, to the point that no matter those flaws readers will love them for exactly who they are. In fact, through those flaws Kurland often writes her most humorous and compassionate scenes through witty dialog and descriptive actions. Dreams of Lilacs is strongly recommended for readers who love romance set amongst a historical background. Note that this novel, and possibly many other of Kurland’s novels based upon other reviews, is “clean.” Kurland’s characters behave in a chaste manner and advocate for the same. Some readers may find this behavior unrealistic; however, in Dreams of Lilacs it makes the characters all the more endearing for their propriety and, quite frankly, a welcome change from novels that are filled with many bedroom scenes. The language is flowery and long-winded; sometimes it can be challenging to remember the content of the beginning of a sentence because its length. Often the same phrase is utilized multiple times with the same paragraph—these phrases become tiring to read and take away from otherwise well-written prose. However, neither of these issues are reason enough to find serious fault with novel. 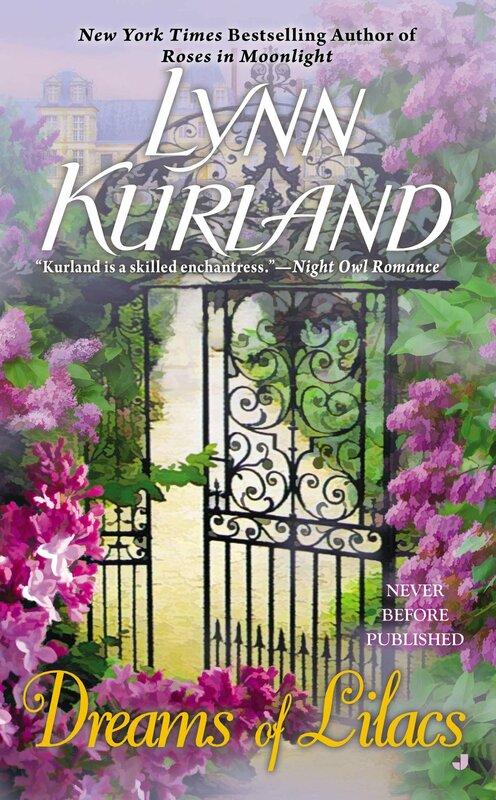 Overall, Kurland’s Dreams of Lilacs is a worthy read for any historical-romance fan. Review copy was provided free of any obligation by Jove. No monetary or any other form of compensation was received.